Bailey is a Rhino/ Tiger Lily son. He lives with his owner Barbra. He has a fantastic temperament and great structure. He is very intelligent and a great problem solver. He comes from a line known for producing natural alert dogs, Service dogs, ESAs and Therapy dogs. 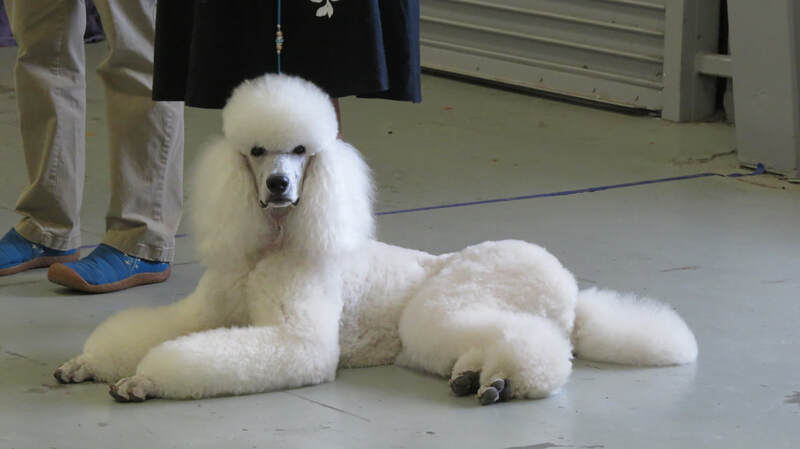 He is now available at limited stud to health tested standard poodle females. Bailey does Not carry parti but should produce Black, Blue, Silver, Apricot, Cream, White and Brindle, possibly Sable and Phantom depending on what the female carries for.